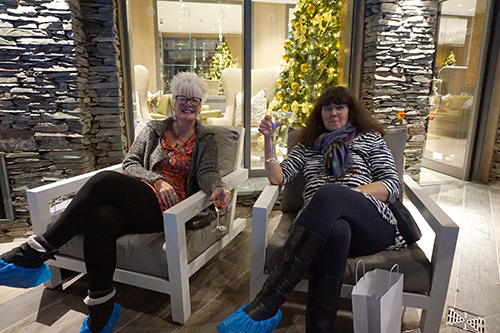 Last night we welcomed visitors through the doors at the first open evening of our newly opened The Falls Spa. 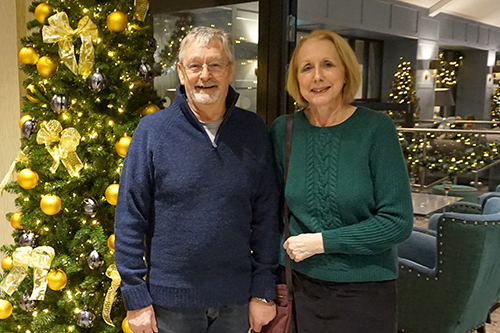 The evening provided the perfect opportunity to start the countdown to Christmas, full of ideas and inspiration for presents, with a guided tour of our luxurious spa and a jolly good night out with friends. 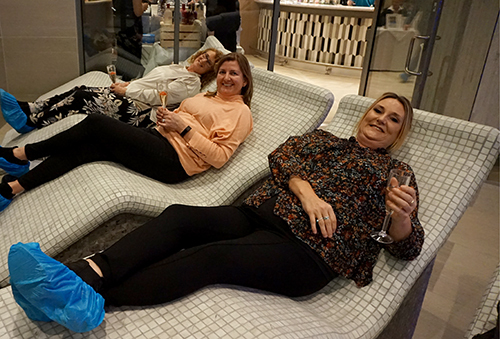 The event revealed the highly anticipated state-of-the-art spa, showcasing the Scandi-inspired décor, impressive facilities and luxury treatments on offer. With over 100 people in attendance, we were thrilled to see both hotel guests and locals experiencing the spa. 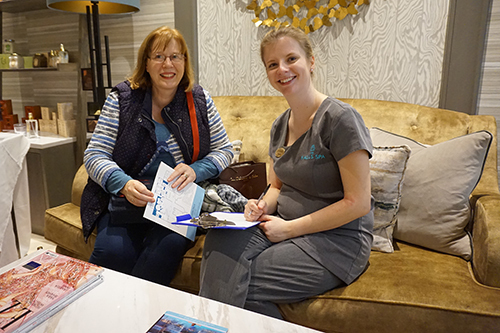 Guests started their experience in the hotel’s conservatory with a special goody bag, which contained a range of luxury skincare samples and special offers for the spa. Mulled wine and soft drinks were served along with delicious canapes from Mizu, our Pan-Asian restaurant which opened its doors back in May, following on from the completion of the first phase of our £10 million redevelopment. Throughout the night, a raffle took place and local B&B owner Denise Wickham was announced as the lucky winner. Denise will now have the chance to experience the spa and the treatments on offer with a free spa day for 2. 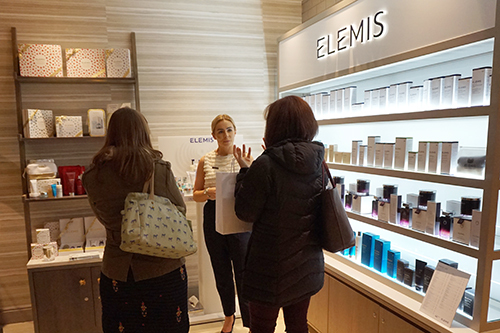 Representatives from Elemis and luxury artisan spa brand La Sultane de Saba, showcased their excellent range of products on offer. La Sultane de Saba’s Rasul Ritual was highlighted, while an Elemis expert explored luxury skincare options on offer to guests. Davina Hassell, The Falls Spa manager was proud to introduce visitors to the standout thermal suite and luxury accommodation. Davina said ‘We’ve been hard at work making sure the spa is a first-class facility for luxury treatments. It really is the perfect spot for guests to relax and recharge in the heart of the Lakes’. 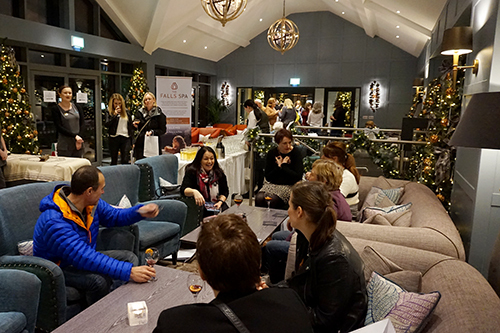 The Lakes Distillery also presented a host of enticing, locally made spirits available for purchase in our elegant Champagne bar while prosecco was served to guests wishing to soak up the calming atmosphere. The spa’s outdoor infinity edge vitality pool proved to be the perfect spot for guests to sit and relax with a glass of bubbly in hand, while the smell of the outdoor fire and the clear night sky offered the ideal atmosphere for our guest’s first look! We are now offering a range of special offers to celebrate the festive season in The Falls Spa. Enjoy a relaxing morning with 4 hours of spa access and a complimentary hot drink or take advantage of our mulled wine, mice pies and mud package. There are plenty of options for a Christmas treat with us here at the spa.